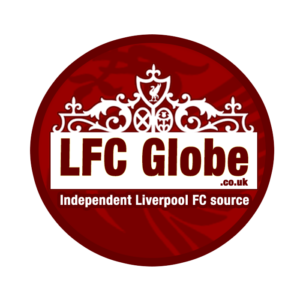 Liverpool centre-back Dejan Lovren has been linked with a move away from Anfield, with three Italian sides thought to be interested. Lovren has struggled with several injuries this year, meaning he has made a mere 13 appearances in all competitions for the Reds this year. Joe Gomez partnered Virgil van Dijk during the first half of the season, showing his maturity at the back during the Croatian’s absence. An injury to Gomez saw the 29-year-old return in defence, however he suffered a setback of his own against Wolves in January. Lovren has since recovered in recent weeks but has had to wait to return to the fold with Jurgen Klopp confident in Joel Matip’s performances alongside Van Dijk. With Gomez’s imminent return in the coming days, Lovren may surprisingly find himself as Klopp’s fourth-choice centre-back. And according to the Mirror, Lovren, who has two years remaining on his Liverpool contract, is being targeted by Serie A sides Milan, Napoli and Roma. Milan are said to be “weighing up a move”, whilst Lovren is believed to be on the shortlist for Carlo Ancelotti’s Napoli, should they lose Kalidou Koulibaly this summer. Roma could also be on the market if they are forced into selling Kostas Manolas, with Atletico Madrid, Arsenal and Man United all rumoured to be interested. Lovren made his first appearance after returning from injury whilst on international duty, playing the full 90 minutes of Croatia’s 2-1 defeat to Hungary. However, he is unlikely to start against Tottenham on Sunday, with Matip expected to continue his stint in the starting eleven. The Cameroonian has been impressive in recent weeks and will be refreshed having spent the two-week international break back at Melwood. Gomez is also close to making his return, with the youngster in contention to face Mauricio Pochettino’s side after returning to full training this week. “It is nice – Joe is not injured anymore and nearly fit,” Klopp said earlier this week.